Have you thought about how many meals you prepare for your family each week? Or how you pull off preparing tasty, healthy meals week after week without any formal training? Whether you’re a novice or an experienced home cook, if you’ve dreamed about upping your culinary game, why not take a cooking class and impress the loved ones gathered around your table! 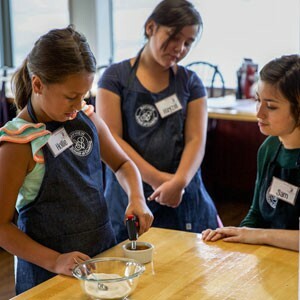 Located at Bayview Thriftway, BSC offers a tantalizing array of culinary classes for adults and children. The emphasis is on the fresh flavors from the Pacific Northwest and other ethnic flavors from around the world. In addition to its own team of instructors, BSC invites regional chefs, cookbook authors and restaurateurs to guestteach. Its specialty, multicourse dinners with wine/beer pairings, are a real treat. Among other amenities, South Tacoma’s Activity and Recreation Center has kitchen facilites perfect for hands-on cooking classes. The focus is on teaching family-friendly recipes and techniques. Classes are usually limited to 15 attendees, and community members can receive a discount by purchasing a STAR pass. Chef Tom Pantley serves up a demonstration-style cooking class and dinner at Toscanos every other month or so. He covers a variety of cooking techniques and styles to help attendees acquire the skills to increase their enjoyment of cooking for friends and family. Cooking classes include a four course dinner, wine sample, recipes and instruction. 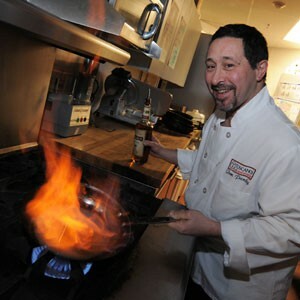 Chef Tom has been staging these entertaining, informative classes for over 25 years. Ready to add new recipes to your regular meal repertoire and learn how to prepare delicious foods for every occasion? Choose a class that meets your interests and let’s get cooking!